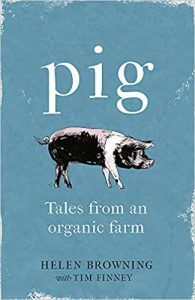 Over the six months that follow, lifelong farmer Helen Browning and her partner Tim Finney record their adventures to show how pigs become the mischievous, competitive, intelligent and inventive animals that we know them to be. In doing so, they demonstrate why it is so crucial that the welfare of our farm animals – and equally, the way we manage our countryside – takes centre stage in the contemporary discussions around food, climate change and the loss of wildlife. Lyrically told and drawing on a lifetime’s worth of knowledge, this is a timely and entrancing exploration of our relationship with farm animals, with nature, and with life itself.